As you may have heard, the current occupant of 1600 Pennsylvania Ave in Washington D.C. has unilaterally decreed a tariff of several goods manufactured in China and elsewhere. And that same person with the powers vested in him by the electoral college has said he will raise the rate from 10% to 25% and has increased the number of products and materials coming from China that will fall under the tariffs. Essential items, such as Apple watches and hair used for wigs have been exempted, demonstrating the compassion and economic insight of the administration, and the beneficiaries of lobbyist funding. Add-in board suppliers evidently didn’t contribute enough or hire the right lobbyists. Therefore, the tariffs on $200 billion worth of products comes on top of the $50 billion worth already taxed earlier this year, meaning nearly half of all Chinese imports into the United States will soon face levies. The next wave of tariffs, which are scheduled to go into effect on September 24, will start at 10% before climbing to 25% on January 1. The timing of the staggering increase will partially reduce the toll of price increases for holiday shoppers buying Chinese imports in the coming months. 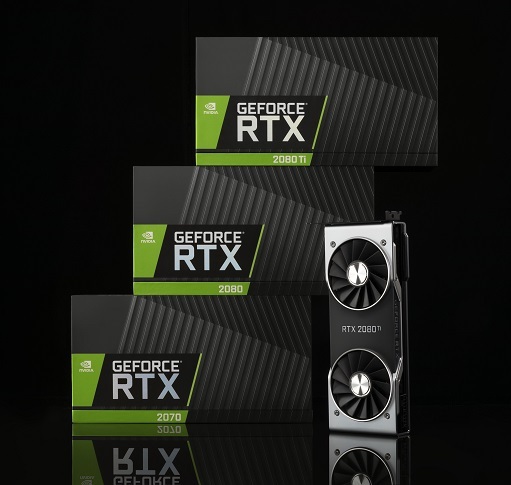 If you could buy a new RTX2080 AIB today for $800 you should, and think of it as being discount from what it will cost in January—$1,000. On Monday, the 24th of September, it will cost $880, plus tax and shipping. You could be spending one-thousand U.S dollars in the United States, plus taxes and shipping, for a graphics board. Those of you who read our Market Watch report know we were predicting a rise in shipments of AIBs in Q3’18 of 3–5%. That forecast still holds true because potential buyers will probably rush to get AIBs before the price goes up. And then Q4’18 will feel the first wave of the tariffs—10%, and Q1’19 the second wave—unless the correct lobbyists can be hired in time by the AIB and GPU suppliers. If those lobbyists can’t be found, or are found but for mysterious and mercurial reasons are not effective, prices will go up, price-elasticity will go into effect, and shipments will go down. AIBs won’t be all that are affected, PCs will also be affected. AIB prices soared before, due to the crypto-mining gold-rush, but the AIBs continued to sell, and sell well. That won’t happen this time. The first and second quarter of 2019 look like they are going to be really bad for AIB sales. The increase in prices will be recognized by some smart, and wealthy people as an opportunity. They will buy as many of the new AIBs today as they can get and hold them. Then when the price goes up, they can sell them on eBay for only 15% more than today’s price, make a nice profit, legally, and make the slow-moving or slow-witted people who didn’t buy now, happy to get the apparent gray-market discount. None of that will help the GPU or AIB suppliers, who are already nervous about the last generation of AIBs bought for mining being dumped on eBay and killing new sales. The falloff in sales will reflect back into the supply-chain as orders from the AIB and GPU builders are canceled or cut back. Some contracts won’t allow that, and the product will have to be taken. That will swell inventory levels, while sales and profits are declining, making P&Ls and balance sheets for the once superstars look like a mid-western cereal company’s financial report. It will also cause layoffs in the supply chain, which is almost all in China, and have the perverse effect of increasing costs in the supply chain, which will be reflected in end user price about six-months later, And that could create a positive feedback-loop also known as a death spiral. Will it get that bad? Probably not. Will it get bad at all? Without the lobbyist interceding and winning concessions, yes. We live in interesting times. Oh, and don’t expect anymore free fanboy T-shirt giveaways from the AIB and GPU suppliers, they will go up in price too.